You are welcome to bring your furry friends to many of our Outer Banks condos, rather than having to board them or inconvenience friends. We ask that you respect the neighboring condos, given the ability for noise to transfer easily. Please do not allow your pet to bark incessantly. You will be responsible for any pet related damages to the condo, common areas, etc. Please, please, please pick up after your pet – as family friendly rentals, we don’t want to have any incidents with children, so please watch your pets. We understand that dogs, like people, love the beach. So bring 'em on down, but again, please respect the rules of the condos. 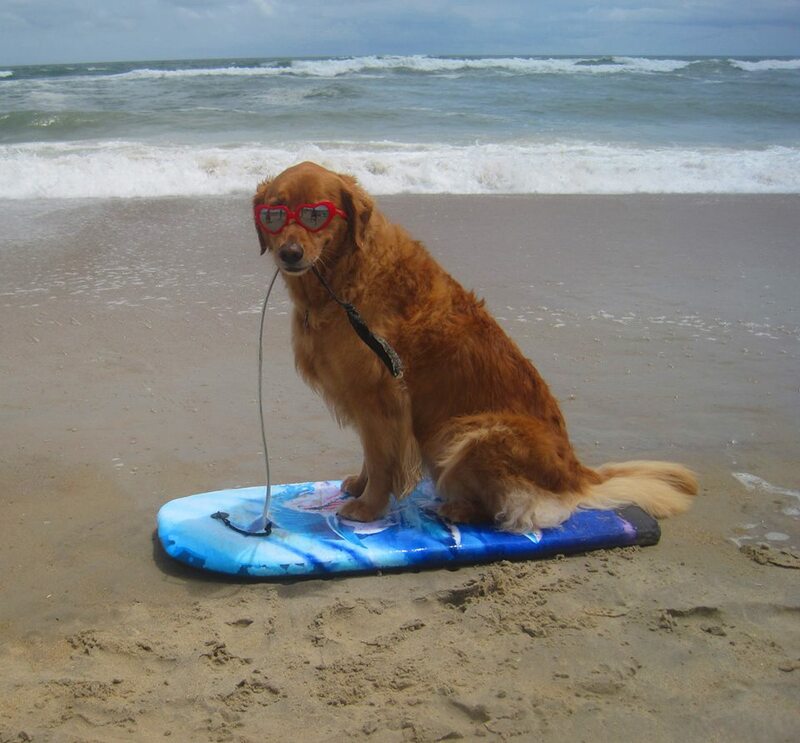 First Flight Rentals is happy to offer dedicated pet friendly condos for pet owners who want to bring their dog to the Outer Banks and enjoy a beach vacation. Cats and birds must receive owner's permission. We offer great access to the beach (Kill Devils local pet laws apply). We have plenty of green space for Daisy to play! We ask that you please pick up after your pet, and refrain your dog from barking, as not to disturb other guests. Per town law, pets are not allowed on the beaches in Kill Devil Hills between Memorial Day and Labor Day from 9 AM - 6 PM. However, you and your leashed pet can be on the portion of the beach directly in front of First Flight Retreat (up to the mean high water mark any time of day) since that is considered private property. Kill Devil Hills does have a leash law and you must abide by that law anywhere on First Flight Rentals property -- pets can not run free. Nags Head, which is 1.5 miles south, does allow pets so you can walk or drive there for more access. Any damages caused by pet will be billed to you. Please do not leave your pet unattended in your condo rental. Sorry, but no pets are allowed in the pool area, fitness, or game room. Please, please be considerate of our other condo guests. If your pet is continually barking, or in any way bothering others, you may be asked to leave the premises. If you do not declare a pet on your reservation and management is notified that a pet is in your condo and no pet fee has been paid, guest will need to pay the fee immediately or risk the chance of being asked to leave. Dogs are permitted on the beaches of Kill Devil Hills. Between Memorial Day and Labor Day, no dogs are allowed on the beach from 9 am - 6 pm unless the dog is aiding the handicapped/ service dog. For more information, contact the town of Kill Devil Hills 252-480-4000. Dogs are allowed on the First Flight Retreat property, which extends to the mean high water mark on the beach. Dogs are permitted on the beaches year round on Hatteras Island (Rodanthe included), so long as they are leashed (6' leash). Dogs are allowed on the Waves Village Resort and Rodanthe Sunset Resort grounds, subject to being leashed. Dogs not allowed in pool area. Please, we ask you clean up after your dog. First Flight Rentals offers many Outer Banks pet friendly condos in the area. Call or email for more information.